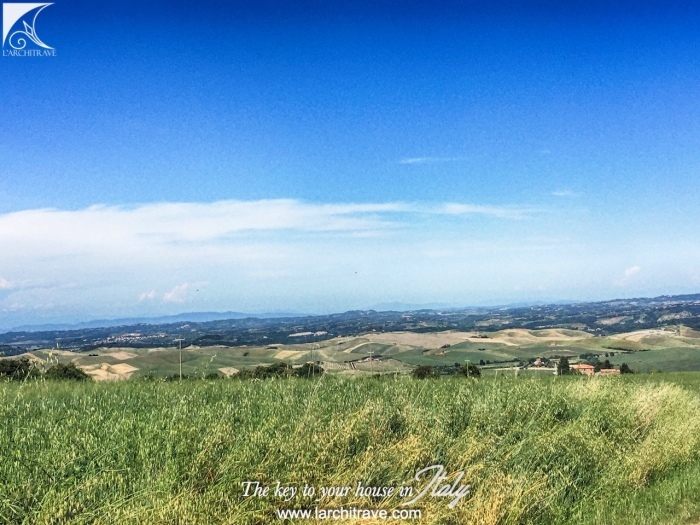 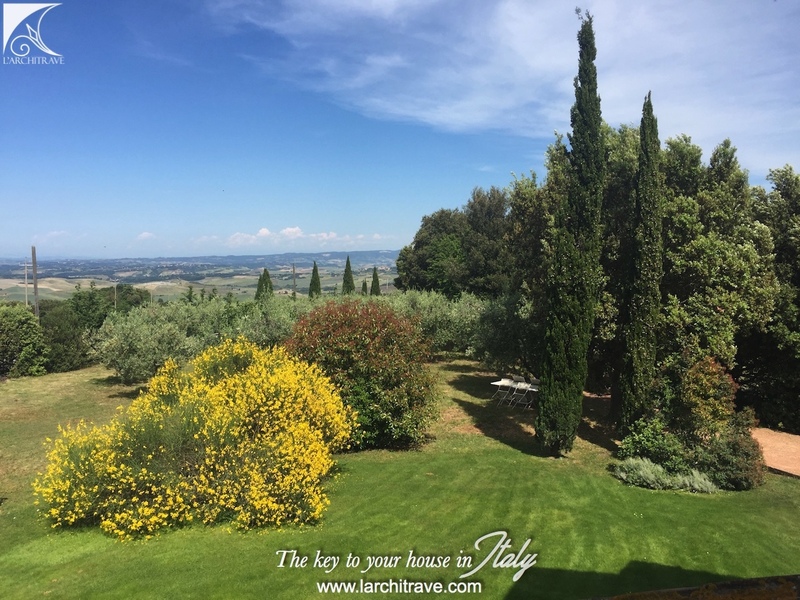 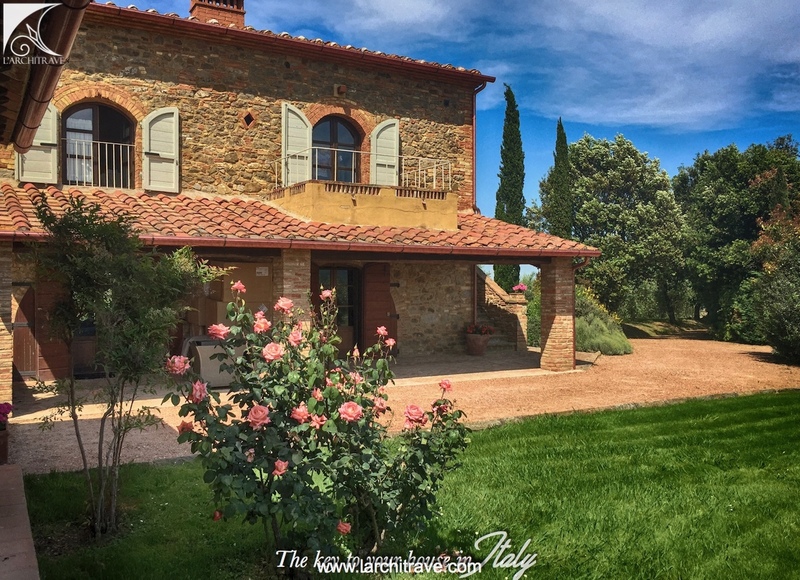 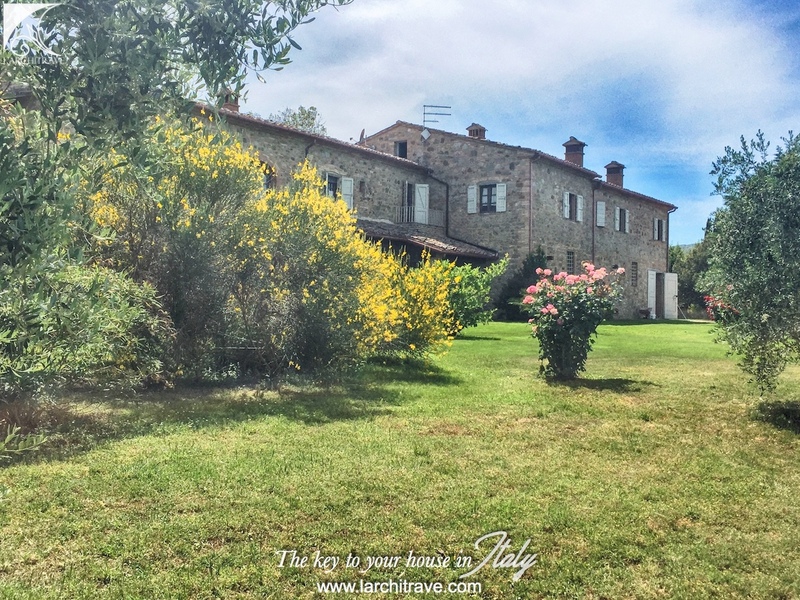 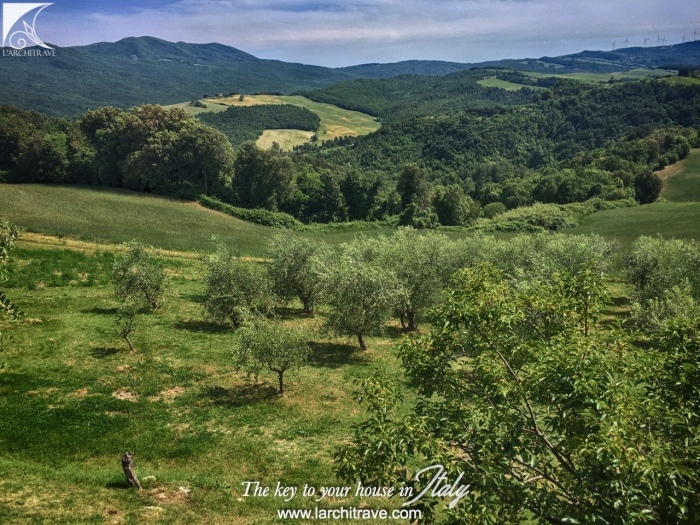 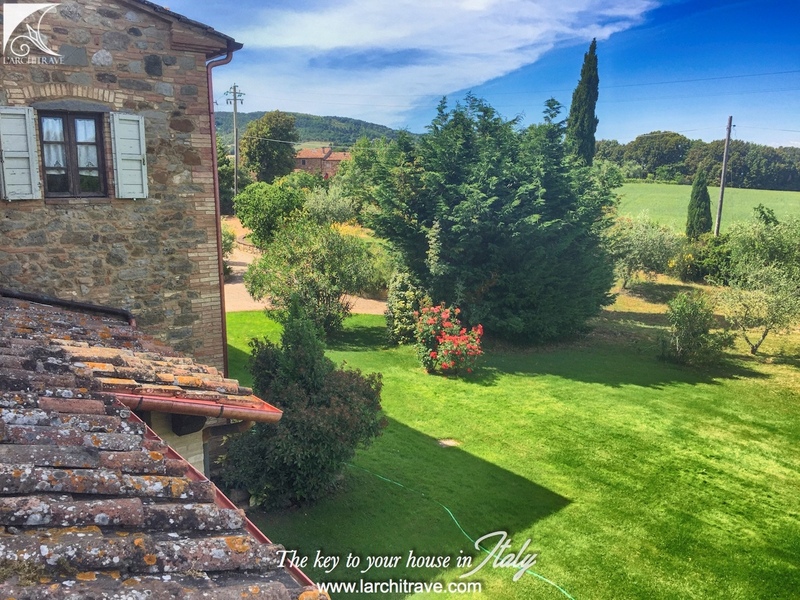 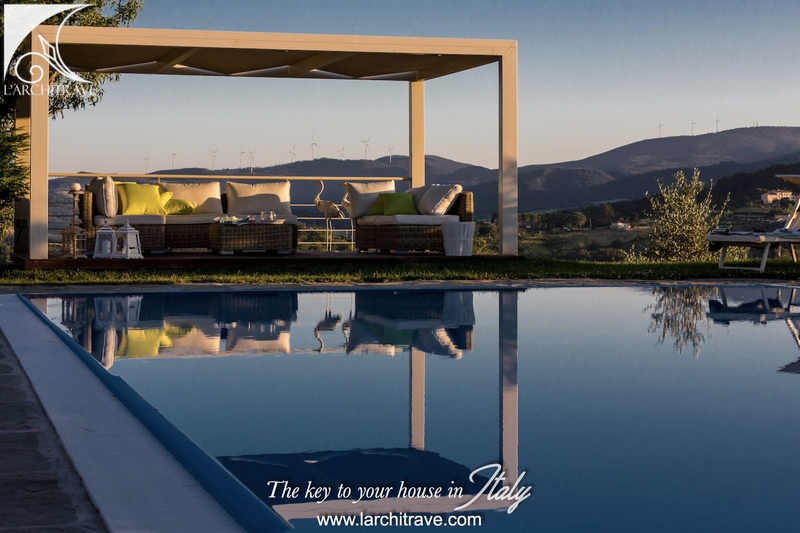 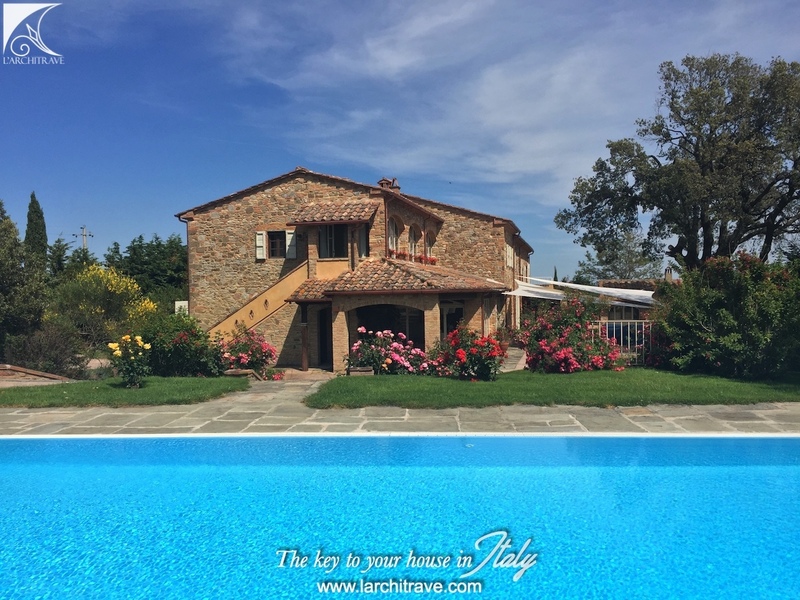 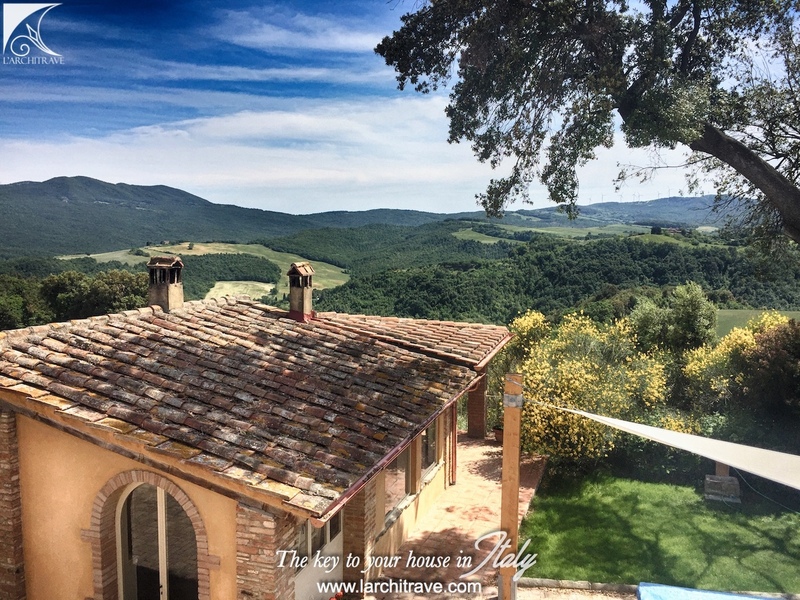 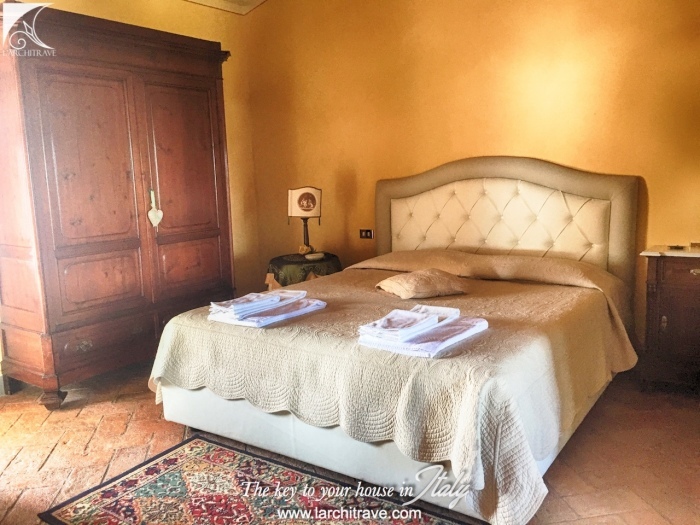 Fabulous villa in the Tuscan hills, near the beautiful town of Chianni and close to the medieval Volterra. 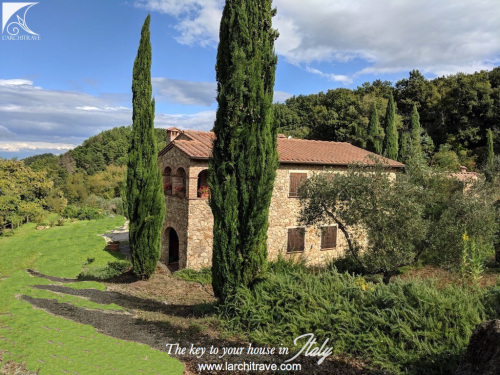 Also, only 20 minutes from Lajatico, the home of Andrea Bocelli's (world renown tenor) Theatre of the Silence, where he hosts an international music festival each year. 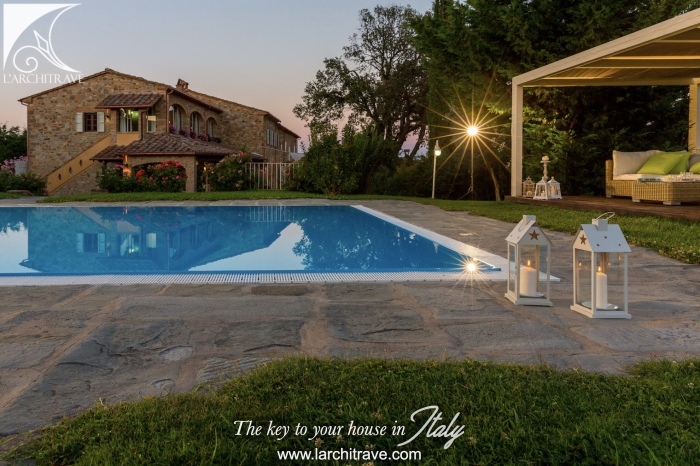 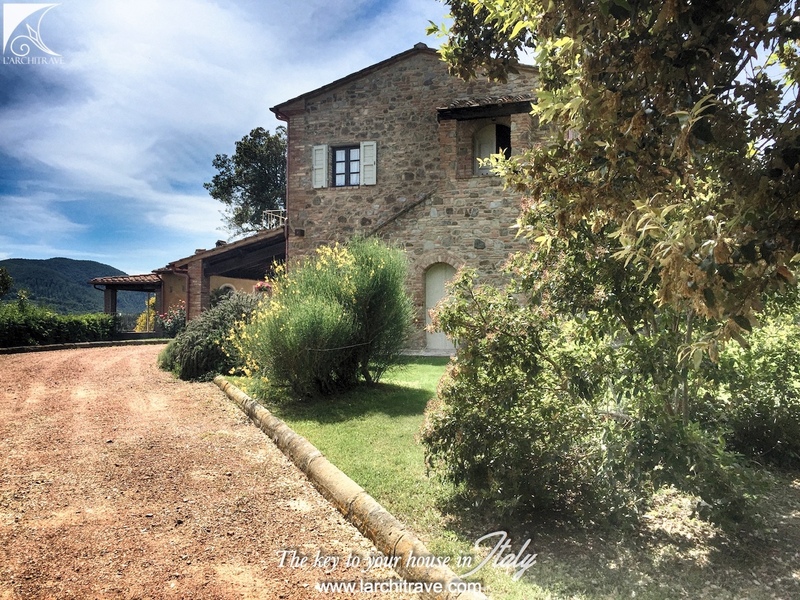 This farmhouse villa is presented in immaculate condition, having been lovingly restored using original, ancient materials to achieve an authentic, Tuscan feel, with all modern conveniences. 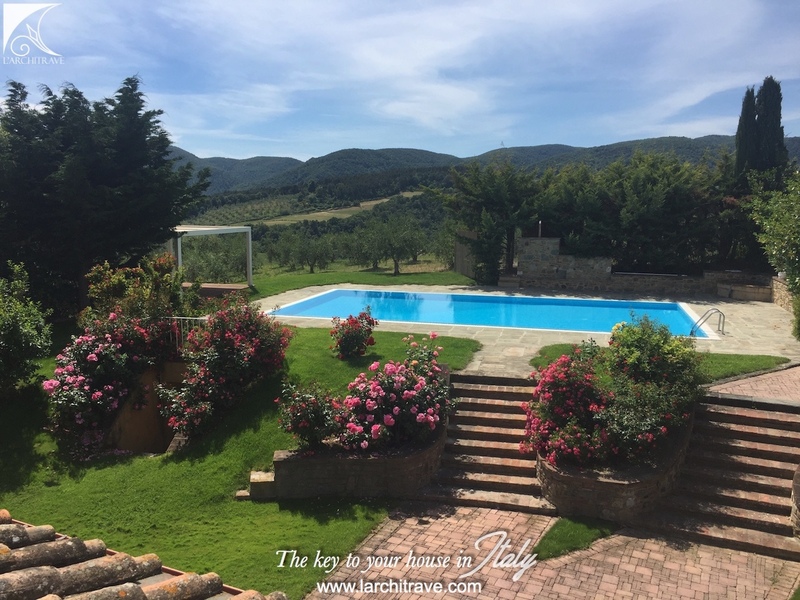 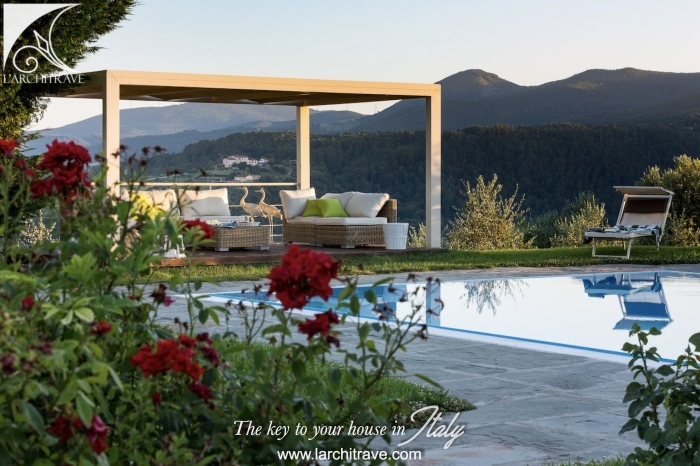 The garden is large and beautifully planted, featuring a pool and gazebo positioned to take advantage of the setting and view, and it incorporates several lawned areas, olive trees and fruit trees, with a total area of around 25,000 sqm. 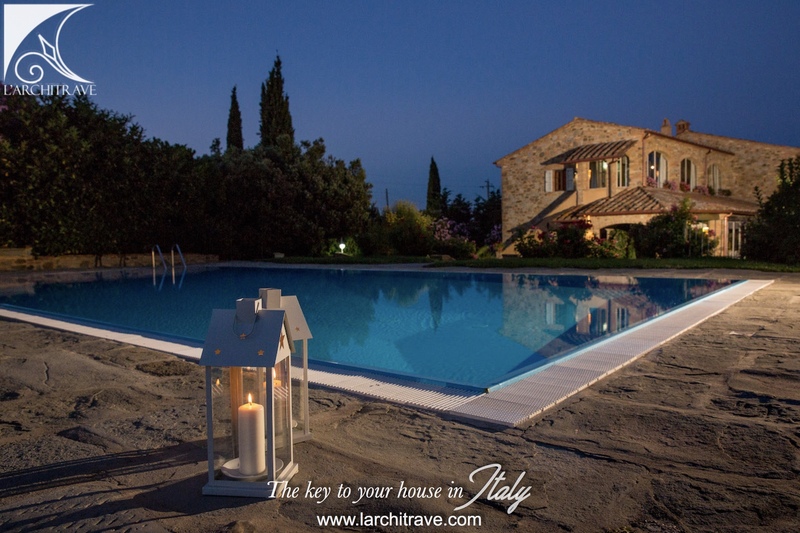 The pool uses salt water (12m x 6m). 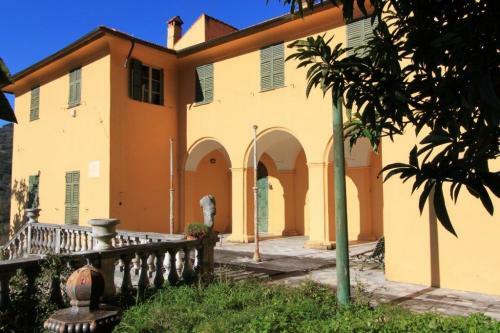 There are several terraces and patios. 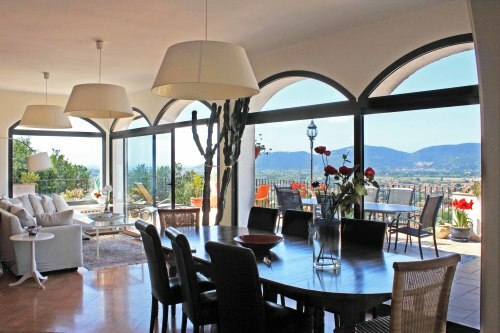 There is a large barbeque area incorporating dining table and chairs to accommodate 14 people. 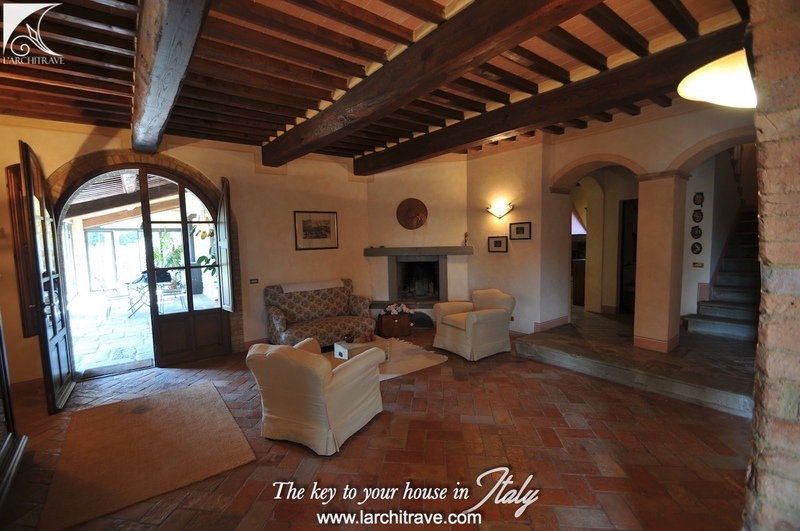 The villa is on two floors, covering 700 sqm and is set up for 14 people. Accommodation comprises seven bedrooms, of which six are double and one twin and there are seven bathrooms (four with shower and three with bath). Ground Floor: On the ground floor the villa welcomes you into a fantastic veranda with floor to ceiling glass which make the dining room very bright. 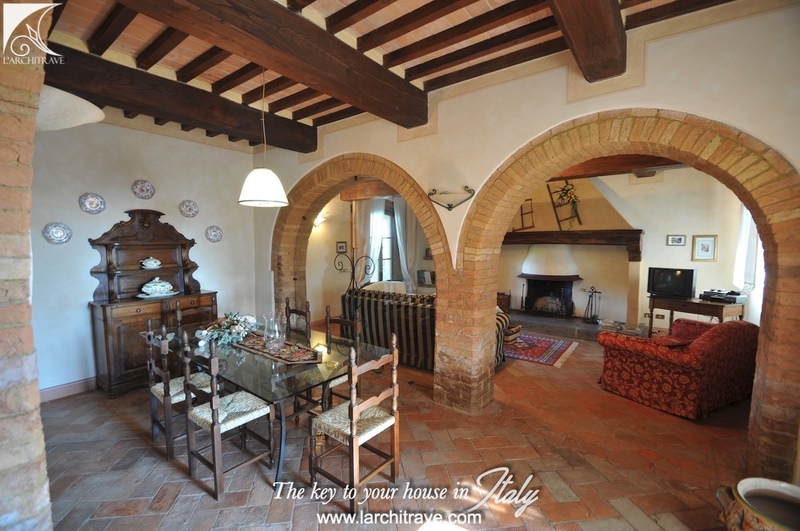 The dining room is connected to the large living room which is a real example of Tuscan style architecture with a sequence of brick arches and fire place. A pleasant susrprise is the kitchen which has been recently renovated. 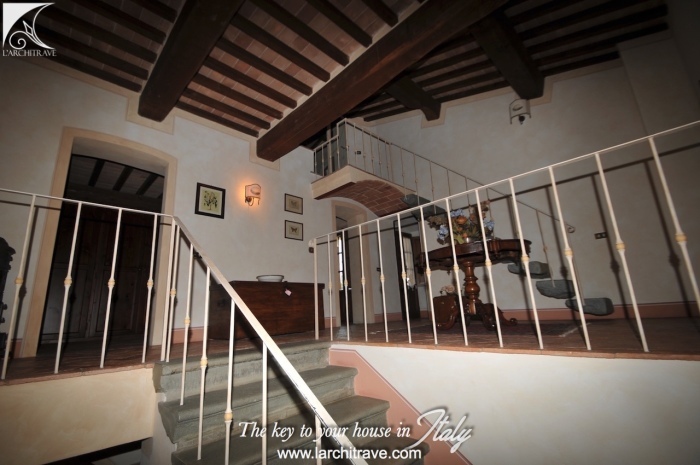 The modern and traditional styles mix perfectly. On the ground floor there are also two bedrooms and a bathroom. 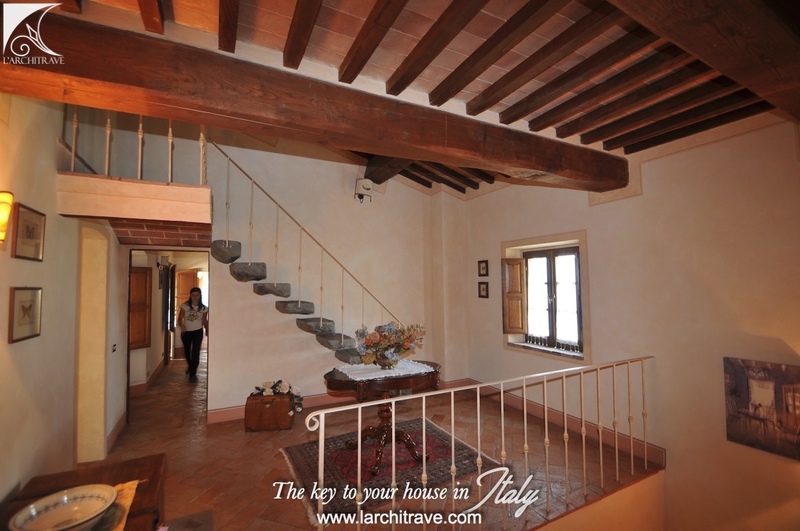 First Floor: On this floor there are five bedrooms, five bathrooms and balcony. 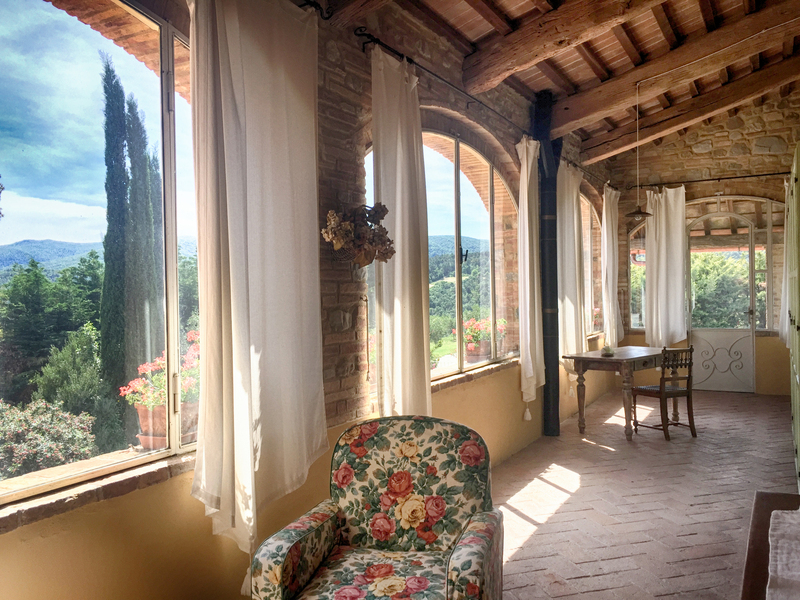 The bedrooms are spacious, featuring exposed beams and have breathtaking views. 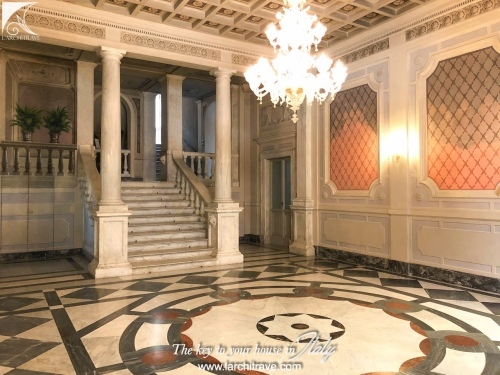 The bathrooms are fitted to the highest standards. There is also a self contained apartment with 2 bedrooms and kitchen with its own separate entrance. 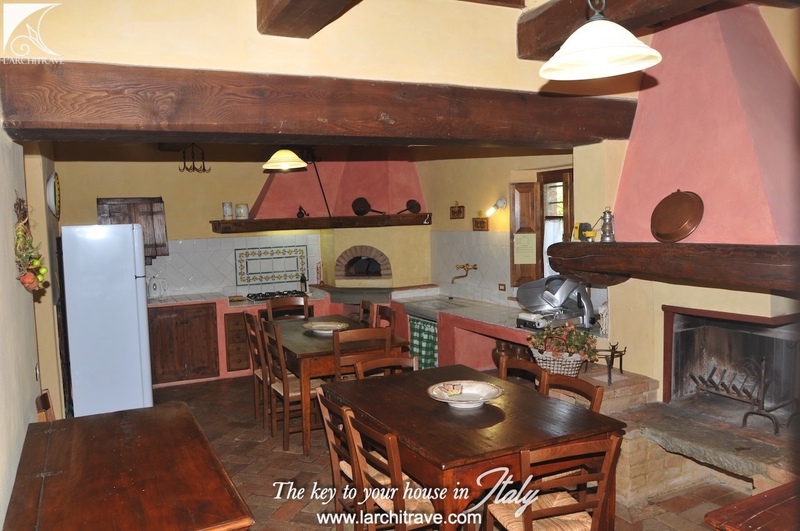 Additionally, next to the farmhouse, there is an outdoor building which can be used as yet another dining or pizza area, with kitchen, wood-burning oven and dining table for 10 people. 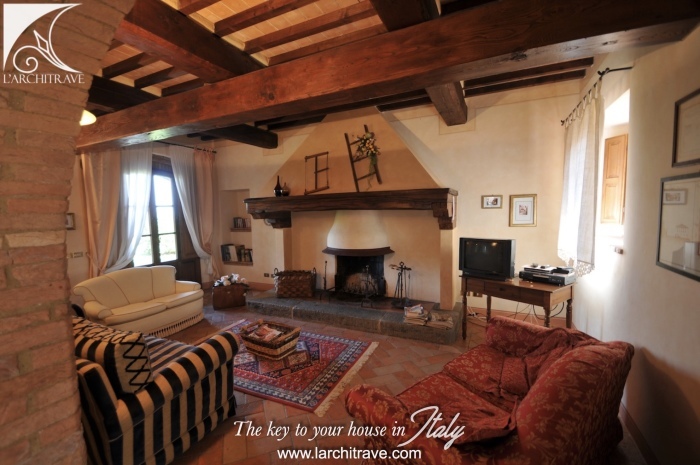 The interior design is rustic, comfortable and welcoming. 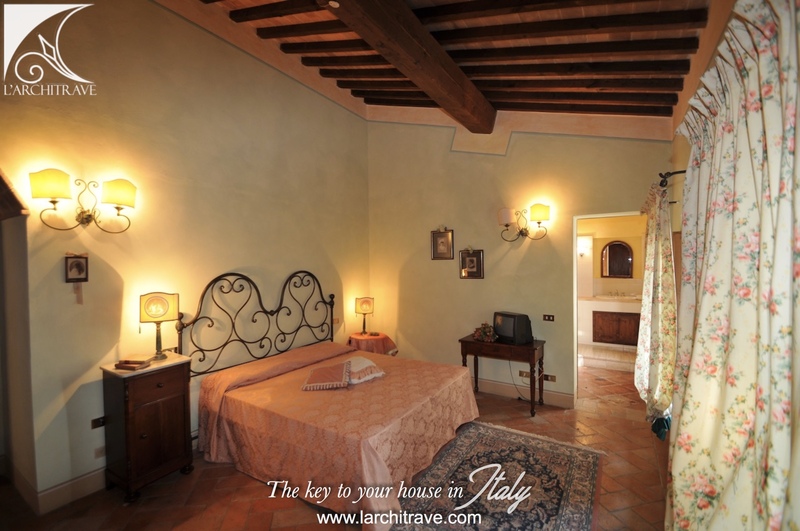 All bedrooms are equipped with air conditioning and mosquito nets. 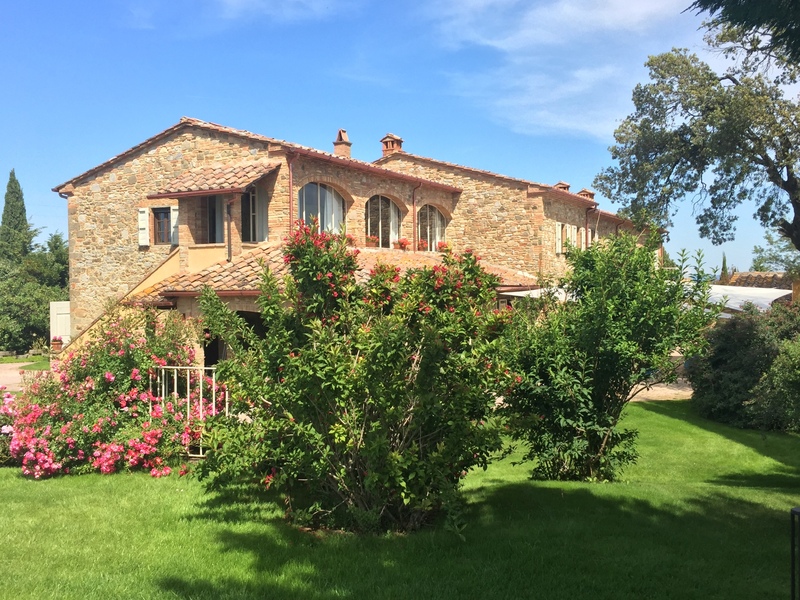 There is Wi-Fi connected throughout the villa and garden. 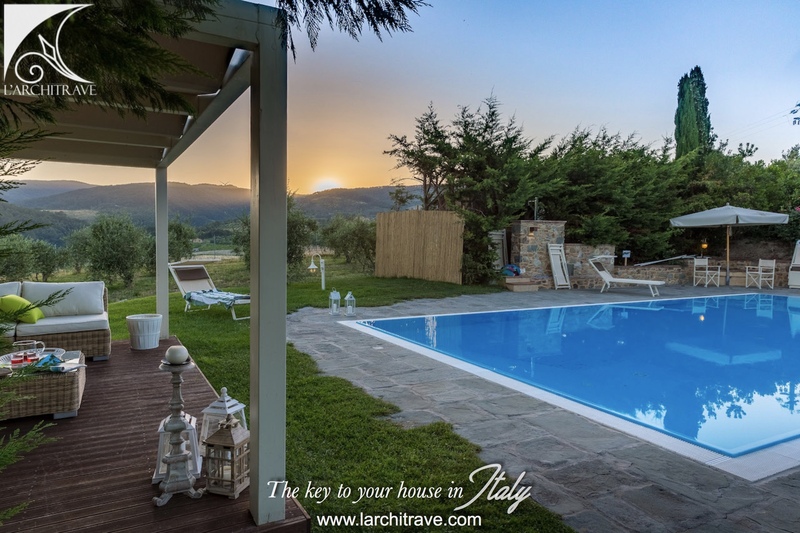 Equipped with all modern amenities, the villa has several outdoor areas (porches, gazebo, veranda) to relax or to eat outdoors, enjoying the excellent views of the surrounding landscape. 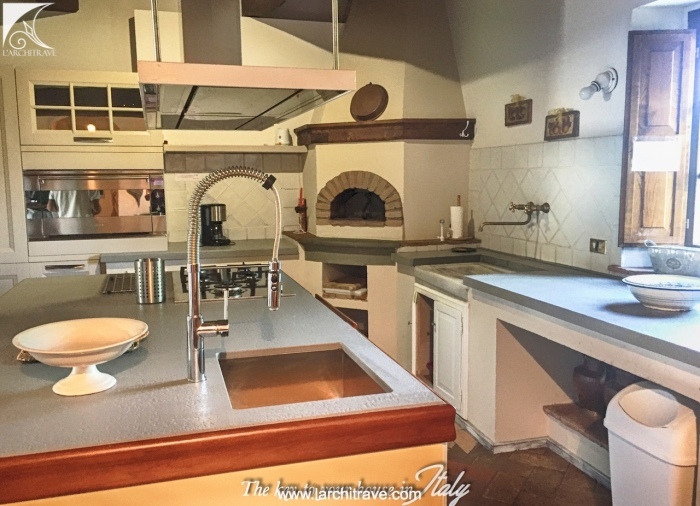 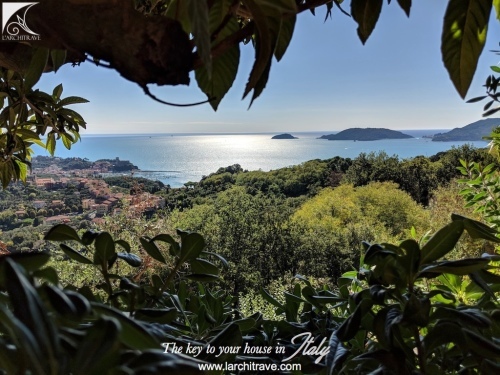 The property is located at the outskirts of Chianni, a picturesque little town where the houses are huddled together and narrow stone streets are flanked with shops, bars, cafes and restaurants, are all within walking distance..